NEW YORK: People with heart disease can face an increase risk of a serious heart attack on poor air quality days, a new study warns. There is a strong association between bad air quality days — those with a threshold above 25 micrograms of fine particulate matter per cubic metre of air — with a greater risk of STEMIs, the most dangerous type of heart attack, the study said. 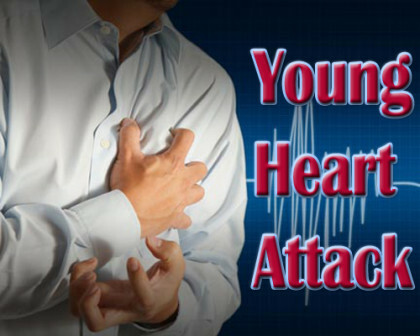 A ST-segment elevation myocardial infarction (STEMI) is a serious form of a heart attack in which a coronary artery is completely blocked and if left untreated for too long, would damage the heart muscles and cause irreparable damage or death. “Our research indicated, during poor air quality days, namely those with high levels of PM 2.5, patients with heart disease are at a higher risk of suffering from a STEMI heart attack,” said Kent Meredith from Inter-mountain Medical Centre Heart Institute in Salt Lake City. The study included nearly 16,000 patients who suffered three types of heart attacks — STEMI, non-STEMI, and unstable angina. Researchers compared air quality measurements to the number of patients treated for heart attacks between September 1993 and May 2014. “By making this association, physicians can better counsel their heart patients to avoid exposure to poor air quality, and thus decrease their chances of suffering a heart attack on days that they are potentially at highest risk,” explained Mr Meredith. “The study suggests that during yellow air quality days, and all red quality air days, people should limit their exposure in the air by exercising indoors, limiting their time outdoors, avoiding stressful activities, and remaining compliant with medications,” Mr Meredith added. The findings of the study were presented at the American Heart Association Scientific Session in Orlando on Sunday.